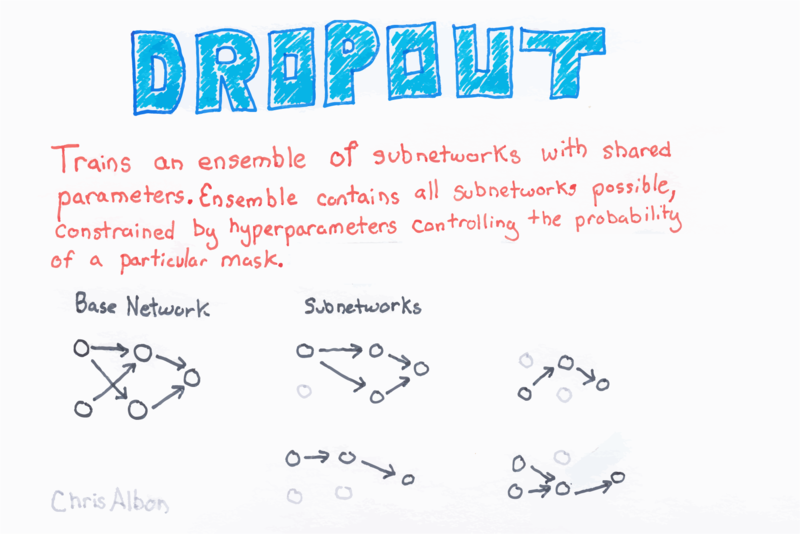 In Keras, we can implement dropout by added Dropout layers into our network architecture. Each Dropout layer will drop a user-defined hyperparameter of units in the previous layer every batch. Remember in Keras the input layer is assumed to be the first layer and not added using the add. Therefore, if we want to add dropout to the input layer, the layer we add in our is a dropout layer. This layer contains both the proportion of the input layer’s units to drop 0.2 and input_shape defining the shape of the observation data. Next, after we add a dropout layer with 0.5 after each of the hidden layers.